Osteoarthritis and osteoporosis affect millions of elderly people around the world and the numbers are rising. Yet, across the globe, people are counteracting the negative effects of aging by choosing healthier diets. 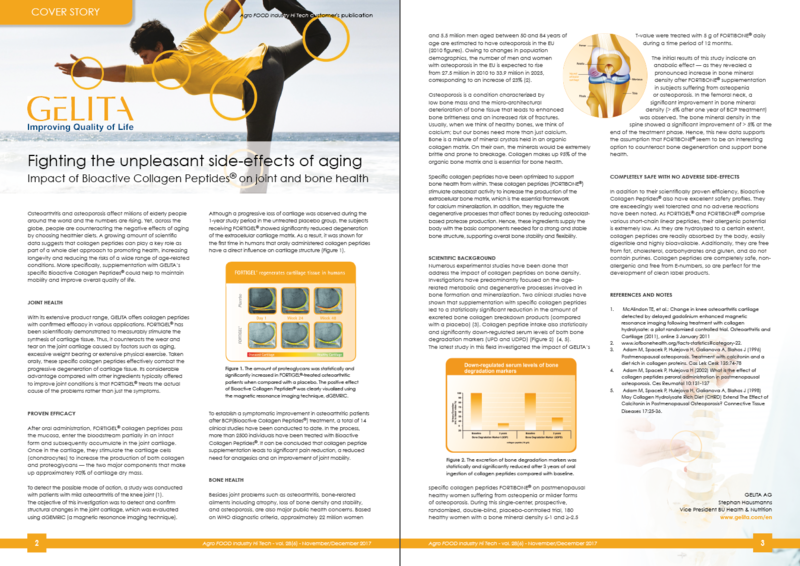 A growing amount of scientific data suggests that collagen peptides can play a key role as part of a whole diet approach to promoting health, increasing longevity and reducing the risks of a wide range of age-related conditions. More specifically, supplementation with GELITA’s specific Bioactive Collagen Peptides® could help to maintain mobility and improve overall quality of life.